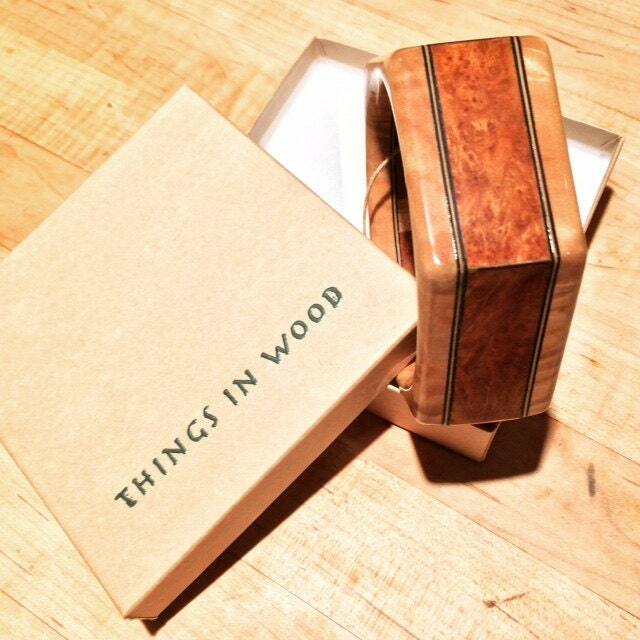 This piece is crafted from the finest woods, with Cherry Burl as the core which is flanked by tiny inlays of Maple and Ebony, with Maple burl on the sides. The adornments on the edges of the Hexagonal vertices are Brass, Silver, and Copper inlay strips. The finish is high gloss lacquer that protects the inlay and ensures the structural integrity when exposed to moisture. This is a hexagonal bracelet, as I do offer many other shaped and sized bracelets. 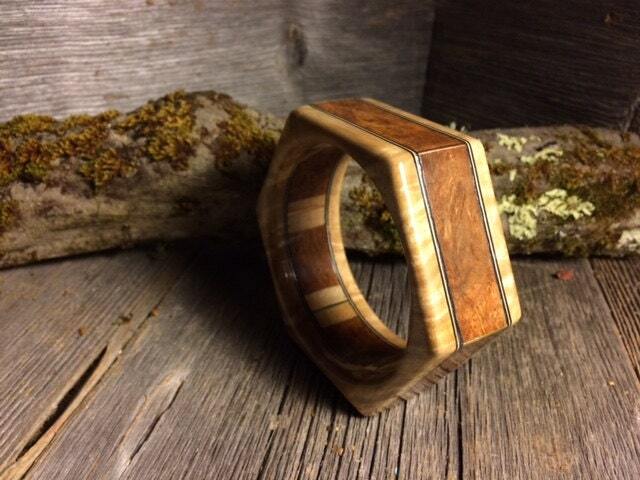 There are 43 (and counting) different woods available to fashion a/your custom bracelet. Contact me for a complete list of all wood types and samples for custom work. This Hexagonal Bracelet has an Inner Diameter of 2.79" or 71 mm. 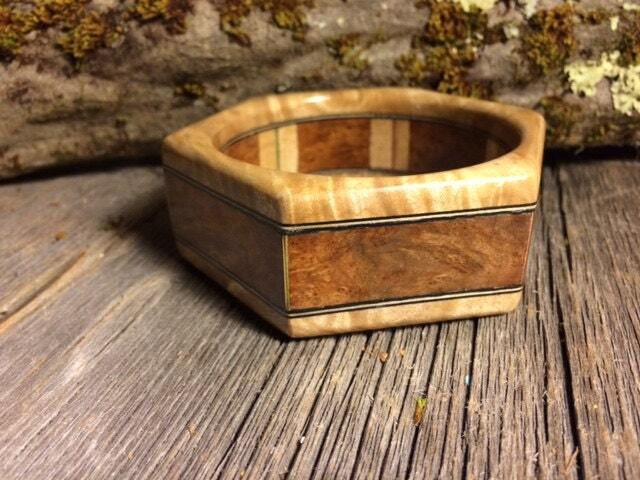 The Outside Diameter 3.25" or 82 mm (If that is not your size I can make it in your size). The width is 0.7" or 18 mm. 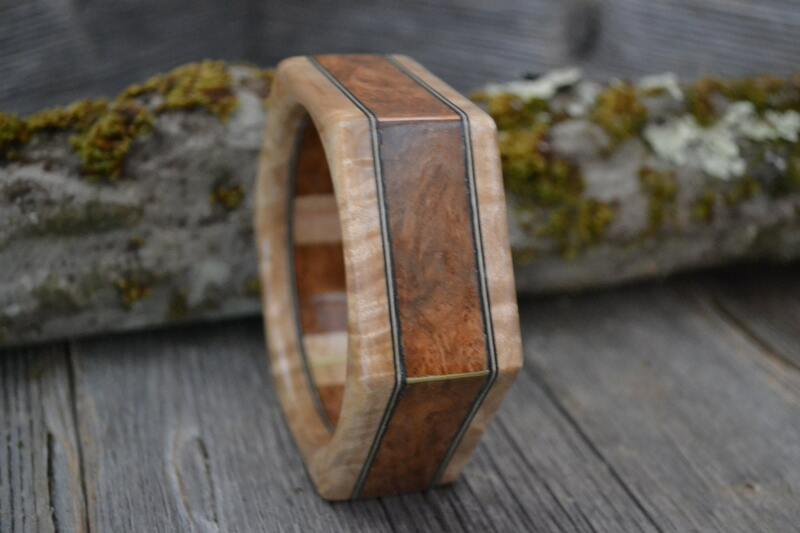 This Bracelet is segmented, meaning that it is the most stable and sturdy type of wooden bracelet on the market.